Located on the Strand in the West End, the Adelphi Theatr is a stylish, art deco building listed with a Grade II status as of 1987. It is the home of Broadway hit musical Waitress with music and lyrics by by 7-time Grammy® nominee Sara Bareilles (Love Song, Brave). With the new part ownership agreement of the theatre between Nederlander Theatres and Andrew Lloyd Webber being formed in 1993, the venue was returned to the art deco style to coincide with a premiere of Lloyd Webber’s production of Sunset Boulevard. 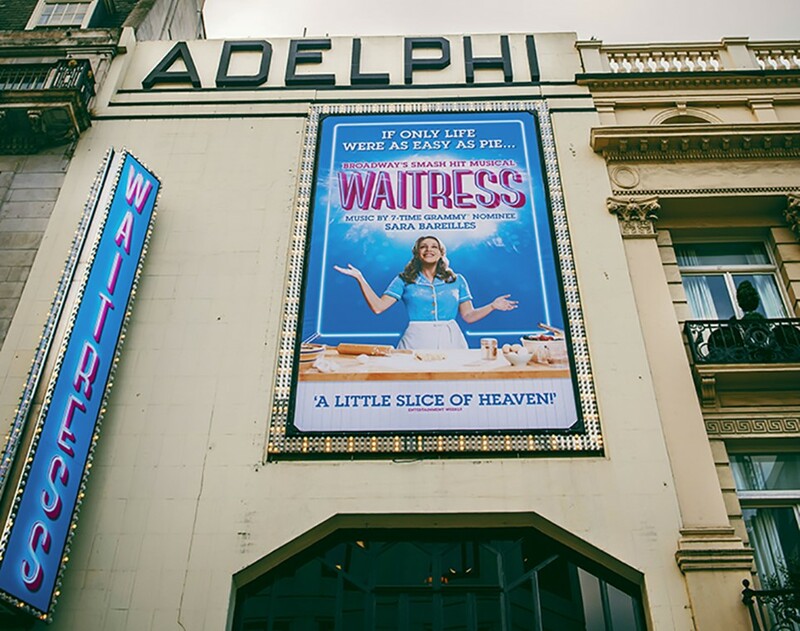 Many of his popular shows have been staged at the Adelphi Theatre including Love Never Dies, Evita and Joseph And The Amazing Technicolor Dreamcoat. The Broadway transfer production of Chicago also premiered at the Adelphi, and became the venue’s longest ever production during its eight-year run. Bars are open from 6pm serving cocktails, milkshakes, pie and more. Between 6 and 6:30pm all drinks are 20% off.